So, where exactly does Coffee Lake fit on this model? More like PAOO. Coffee Lake was another Optimization (++). Intel said that their product lines were "fluid" with regards to micro-architecture generations, and fab processes. It was replaced with whatever excuse they could think of to justify the late process move. Still waiting on the "fixed the Spectre/Meltdown" CPU's. Coffeelake is basically Intel's admission that 10nm is badly delayed and has some major problems to still sort out. I think Cannonlake is not going to launch in any serious volume. The first real 10nm product from Intel will be 10+ based Icelake which is expected to launch in 5w tablet SKUs (ICL-Y) in holiday 2018 followed by 15-45w notebook SKUs (ICL-U) in H1 2019. Intel's manufacturing execution has let them down and they no longer have a process lead over the foundries. Whats going to be interesting is how Intel pick themselves up and execute the next 7nm node. TSMC is relentlessly marching forward with their process node roadmap and Intel do not want to fall behind otherwise things will get ugly. Their due date has not passed yet. "Do not pass GO, do not collect $200". No IPC, core or architectural changes/improvements. Coffe adds 2 cores to LGA 1151 with extreme clocks. Even though it has 6 cores i7 8700K is best cpu for high frequencies and gaming. Some people might be dissapointed because of IPC, but 5GHz on 6C12T on more than 80% of i7 8700K is just insane. AMD is pushing, Intel is trying to answer back, but intel has some problems lately. They have been sleeping and they are still saying about withdrawing from PC gaming. So after sandy bridge i5 2500k/i7 2700k first cpu that are completely worth upgrading are i5 8600K/i7 8700k. People will always want more, but personaly intel suprised me with coffe. I was expecting same arch/IPC, but clocks and more cores at that price were good surprise. Coffeelake had few improve on IPC. Everything is same. Maybe more cache give him bit advantage in some scenarios otherwise everything is in margin of error. But since 2016 (so in 2016 and 2017), only 7nm has been mentioned as the reason for increased R&D expenses. So 7nm has been going in full swing for (over) two years now. I get what you’re saying, but the iGPU feature upgrades going from Skylake to Kaby Lake are a pretty big deal actually. In fact, that’s specifically why I refused to buy any Skylake machines. In haswell you also had an optinization, albeit an smaller one with devils canyon. Thing is that because it didnt have a new gen number it isnt as visible as for example 6xxx to 7xxx (skylake refresh). Same iGPU. I don't know about features that are enabled/disable, but they are same. Mostly accurate, though the official memory supported memory speeds did increase with each 14nm optimisation, ie. Skylake = DDR4 2133, Kaby = DDR4 2400, CFL = DDR4 2666. This doesn't mean much for enthusiasts running Z series motherboards as you can overclock the RAM anyway, but for non Z boards its somewhat important as I believe DDR4 2133 especially is quite a big bottleneck for say, a 6700K. This plus incremental clock speed improvements with each 'gen' (I'm being kind here) means that you get your ~10% gain in stock ST performance (obviously CFL is a much bigger jump for MT due to a 50% core increase) despite it being the same architecture. I personally went from a 2500K to a 3770K to a 6700K and the gains were tangible with every upgrade. Obviously the biggest jump came from the 2500K to 3770K (doubling of threads), but the 6700K has a good 15 - 20% higher IPC than the 3770K, plus support for DDR4 means gaming is actually significantly faster on the 6700K, I was quite surprised by the difference. That was added in Kaby Lake (7th gen). 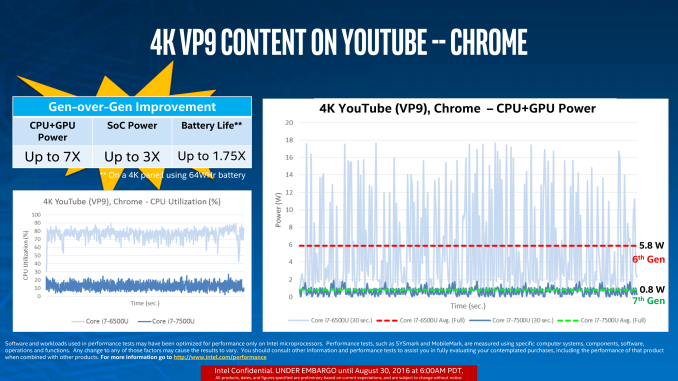 The above is important because there are real-world 4K h.265 HEVC 10-bit HDR videos that a laptop Kaby Lake Y or U machine can decode with low CPU usage that a Skylake i7-6700K can't with 100% CPU usage. 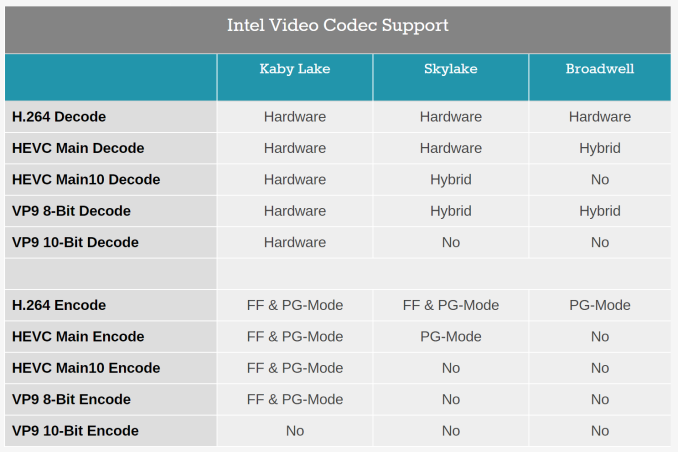 And perhaps most importantly, Kaby Lake adds 4K DRM support. CFL has more cache, but due to having more cores it has a bit higher latency in the ring bus. The two together even out so the IPC is more or less the same.